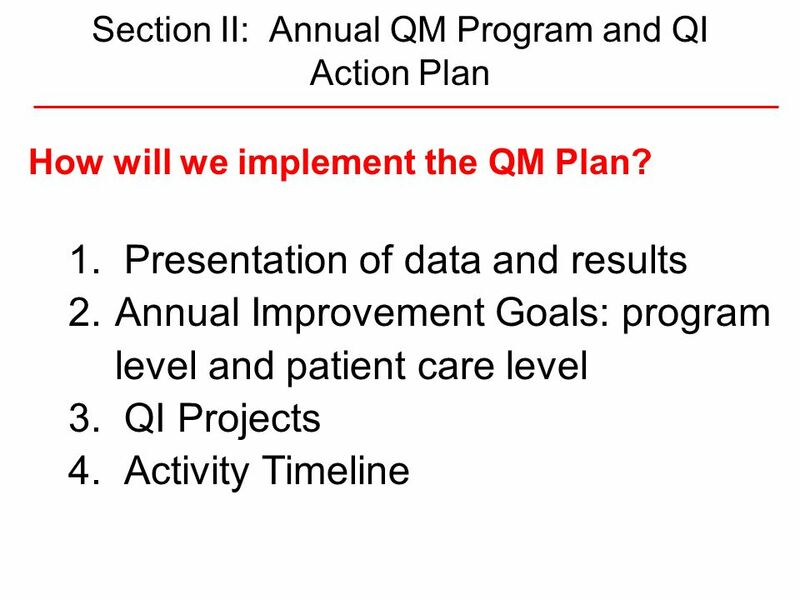 3 Agenda 9:00 Welcome. 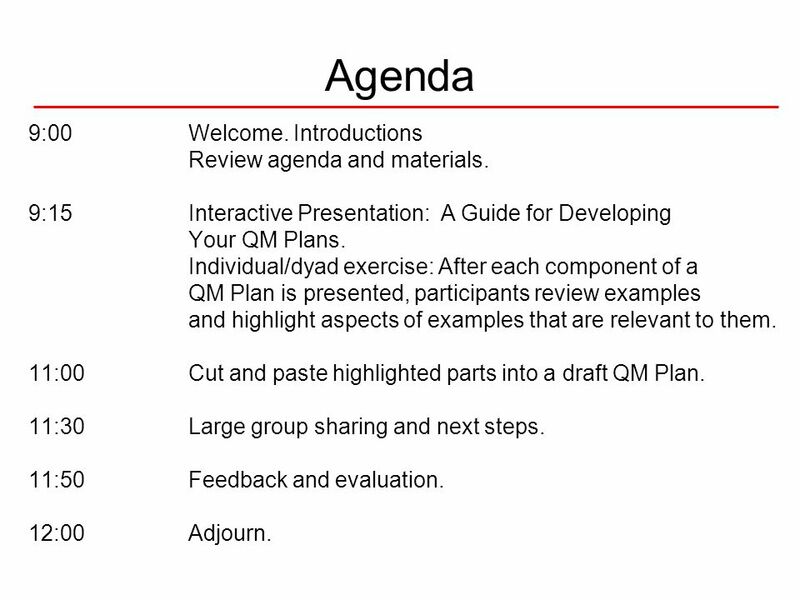 Introductions Review agenda and materials. 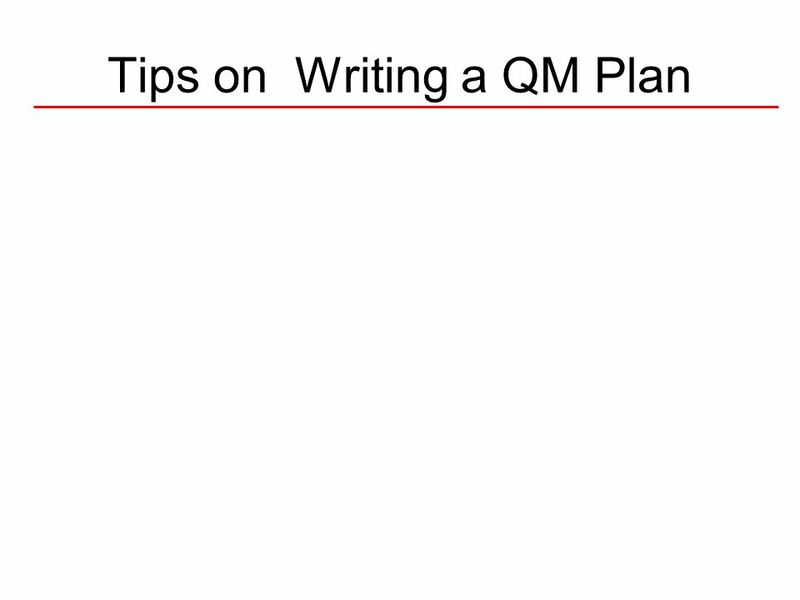 9:15	Interactive Presentation: A Guide for Developing Your QM Plans. 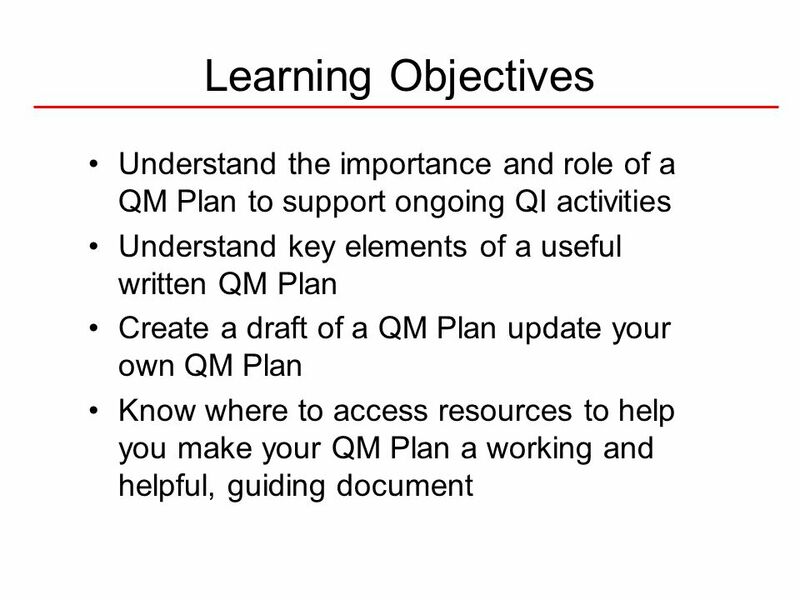 Individual/dyad exercise: After each component of a QM Plan is presented, participants review examples and highlight aspects of examples that are relevant to them. 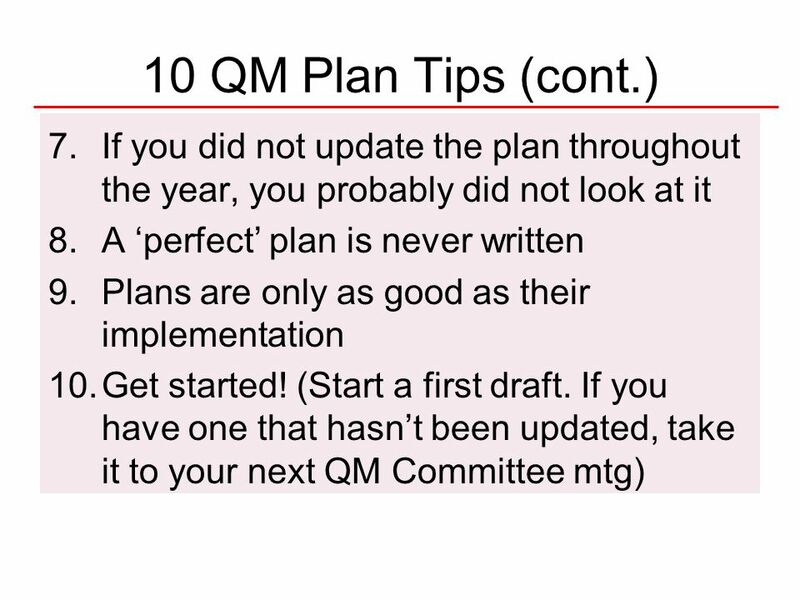 11:00	Cut and paste highlighted parts into a draft QM Plan. 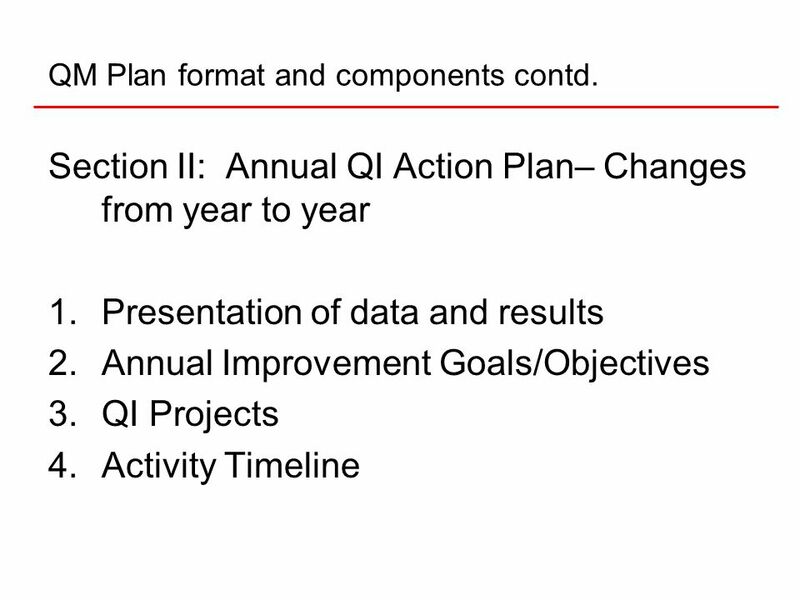 11:30	Large group sharing and next steps. 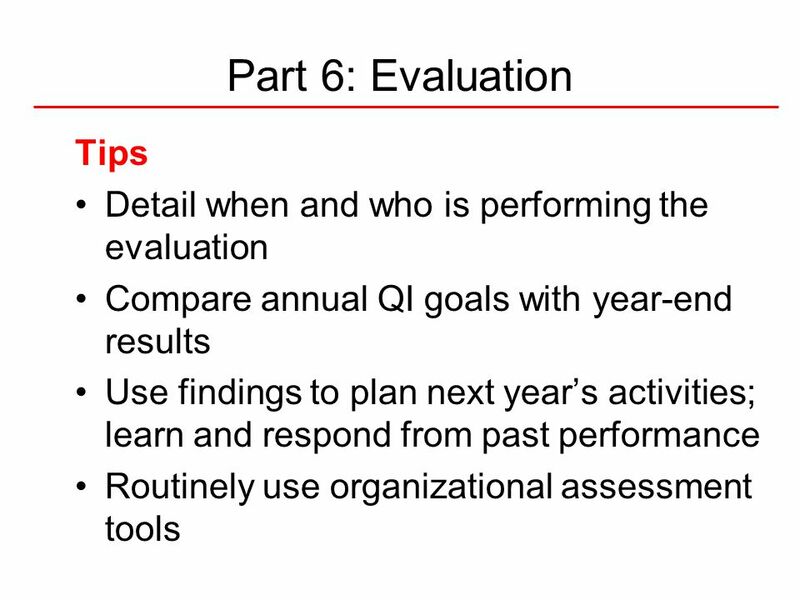 11:50	Feedback and evaluation. 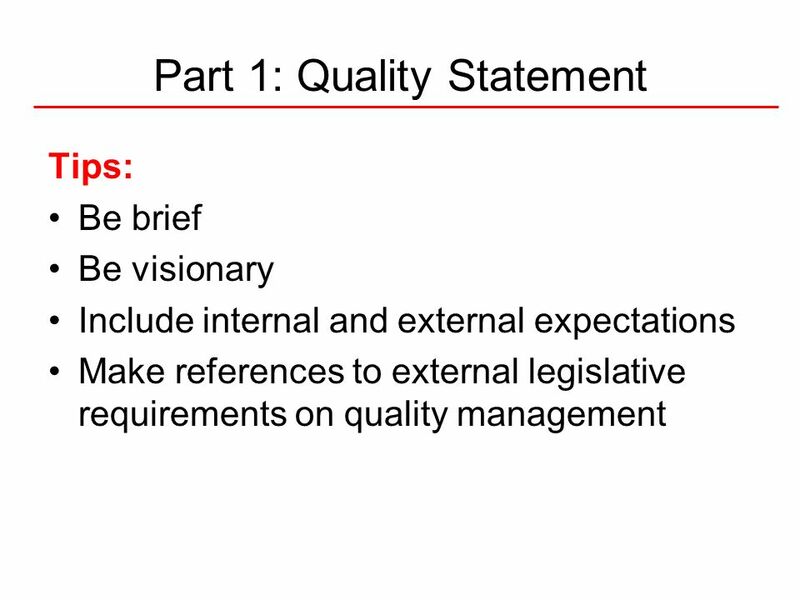 12:00	Adjourn. 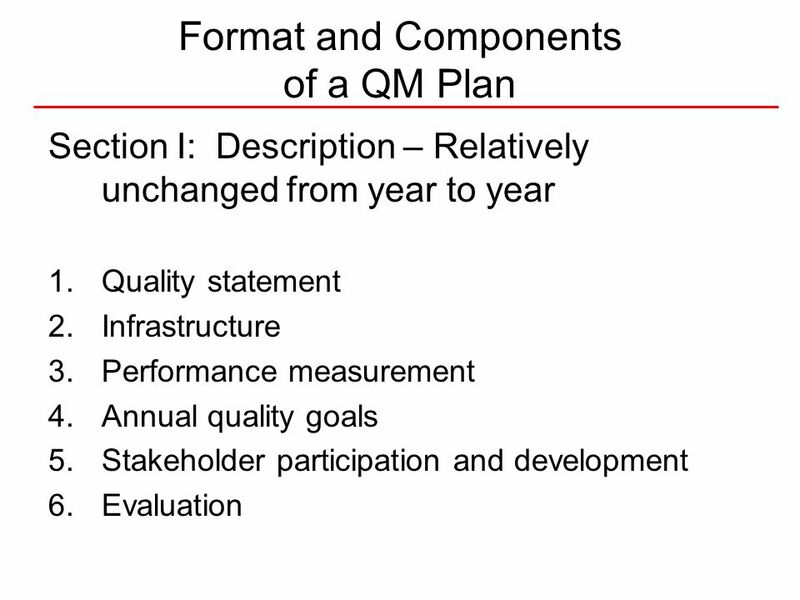 8 QM Plan format and components contd. 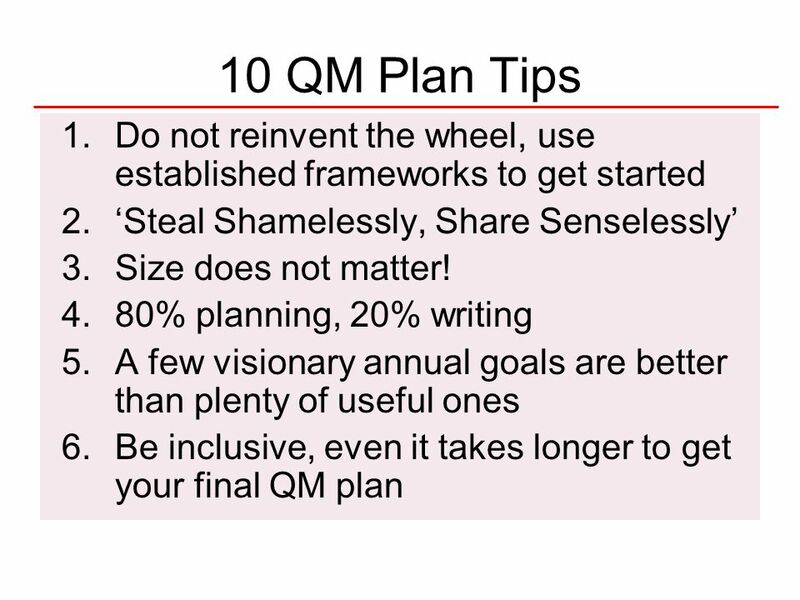 9 How is the QM Plan written? 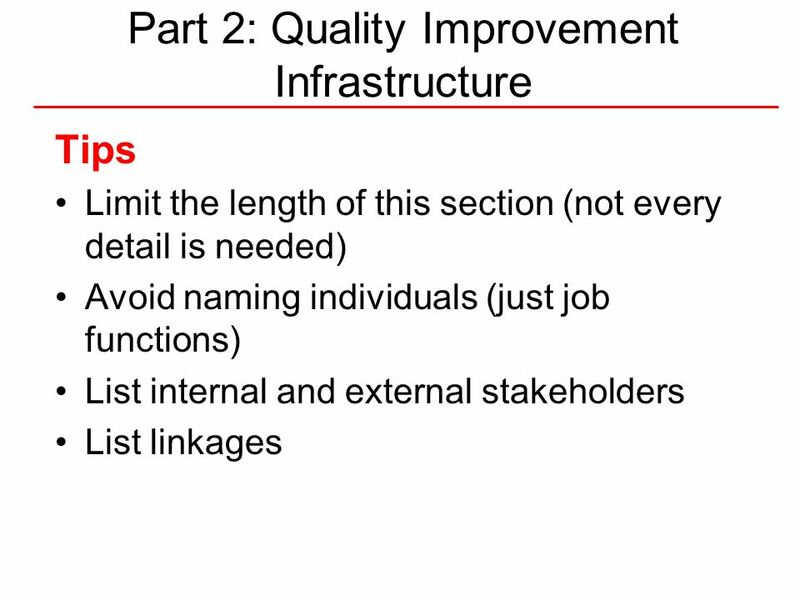 11 I.1. 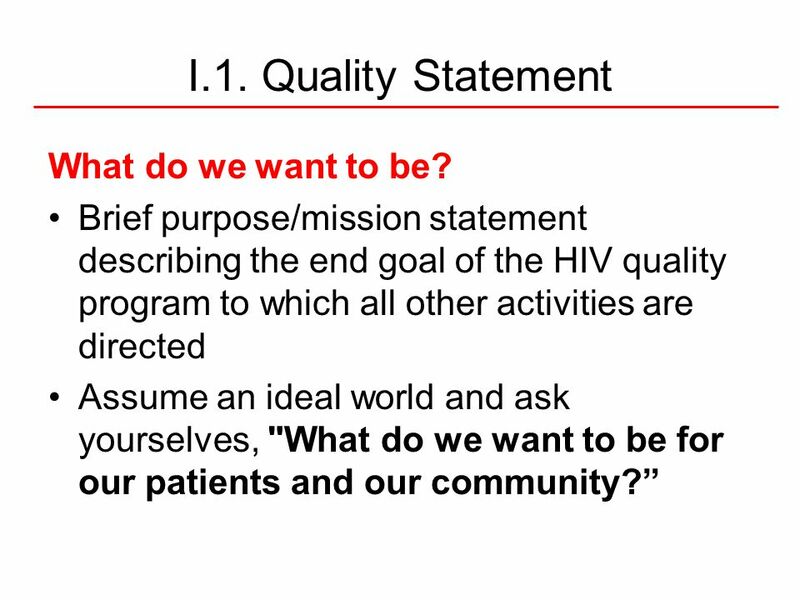 Quality Statement What do we want to be? 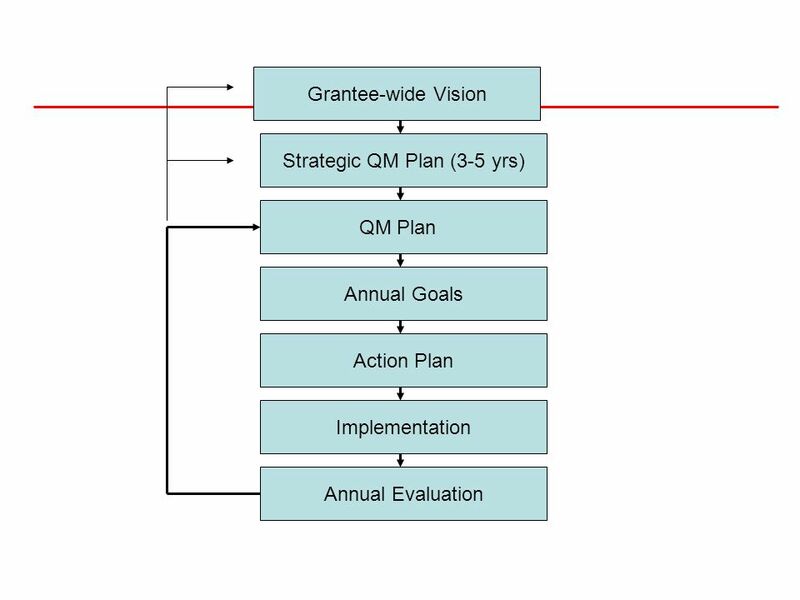 How are we organized? 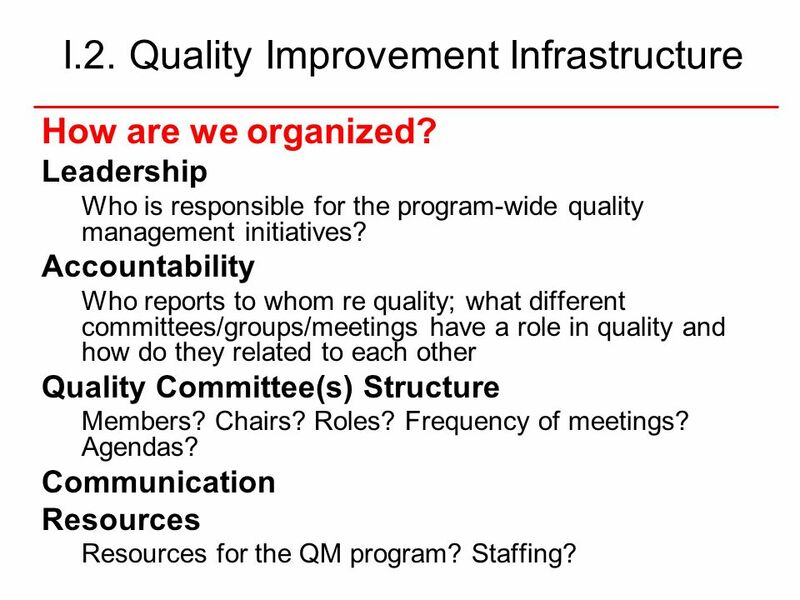 Leadership Who is responsible for the program-wide quality management initiatives? 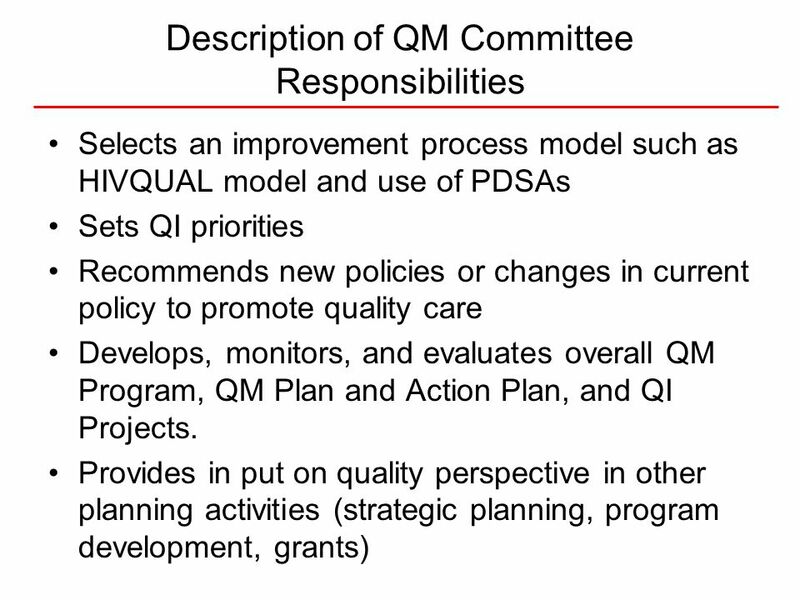 Accountability Who reports to whom re quality; what different committees/groups/meetings have a role in quality and how do they related to each other Quality Committee(s) Structure Members? Chairs? 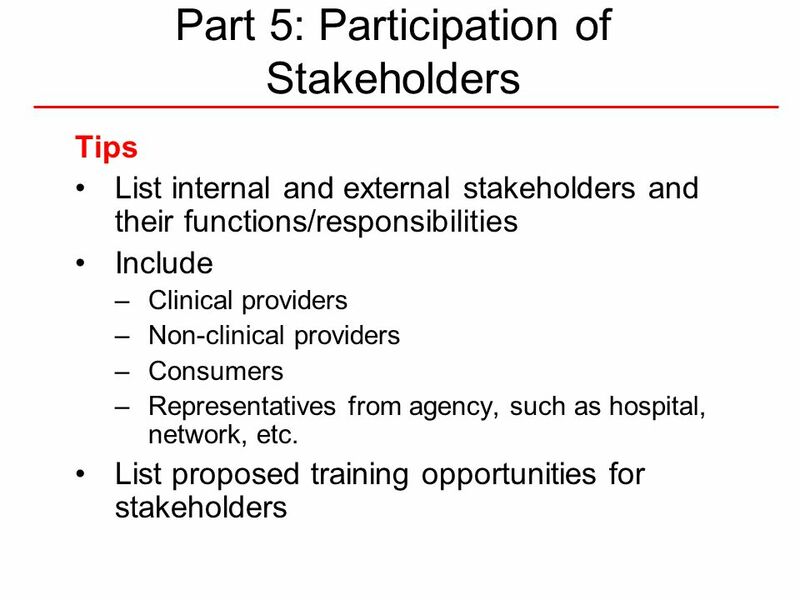 Roles? 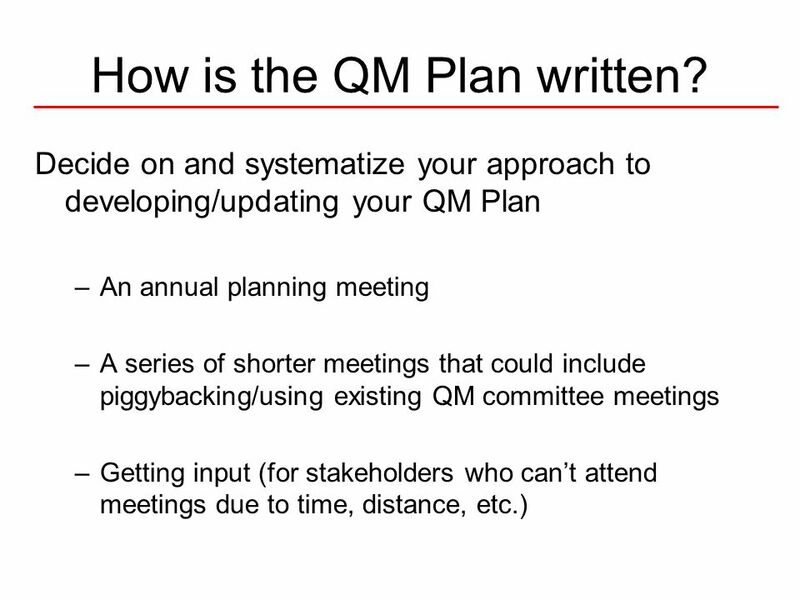 Frequency of meetings? 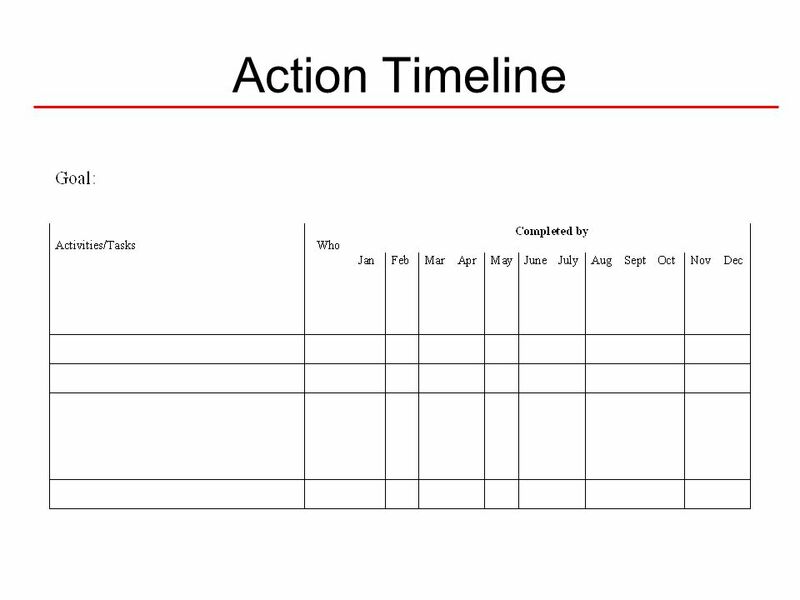 Agendas? 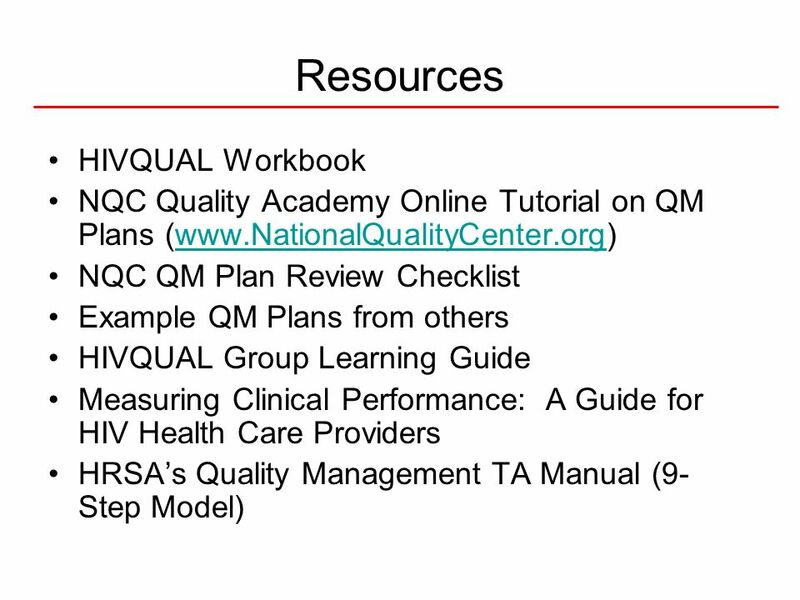 Communication Resources Resources for the QM program? 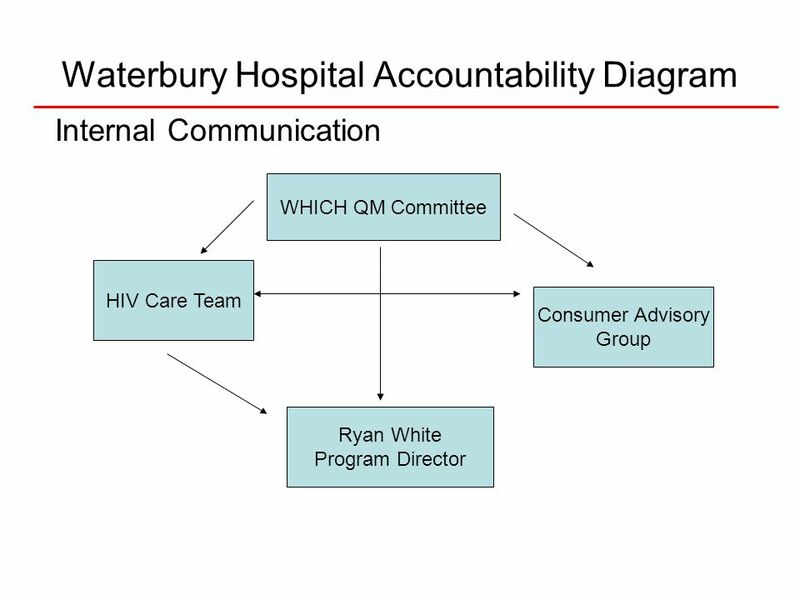 Staffing? 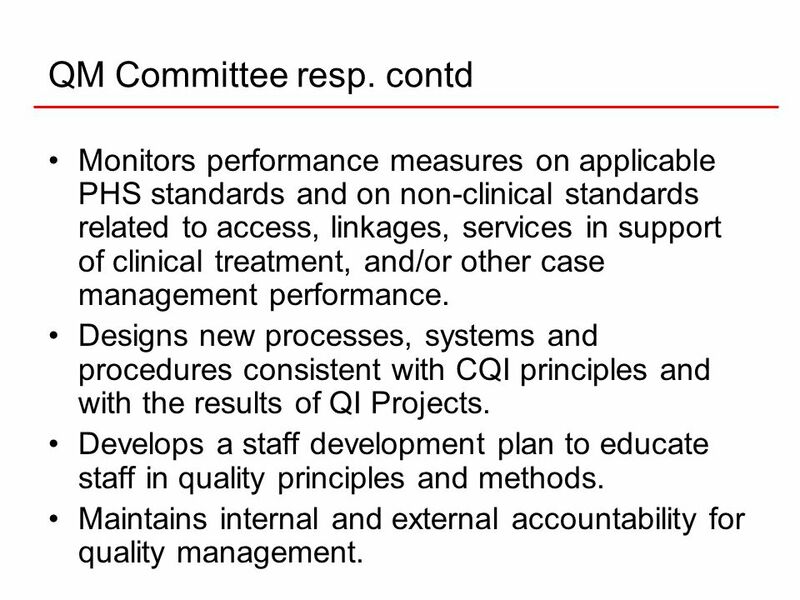 Monitors performance measures on applicable PHS standards and on non-clinical standards related to access, linkages, services in support of clinical treatment, and/or other case management performance. 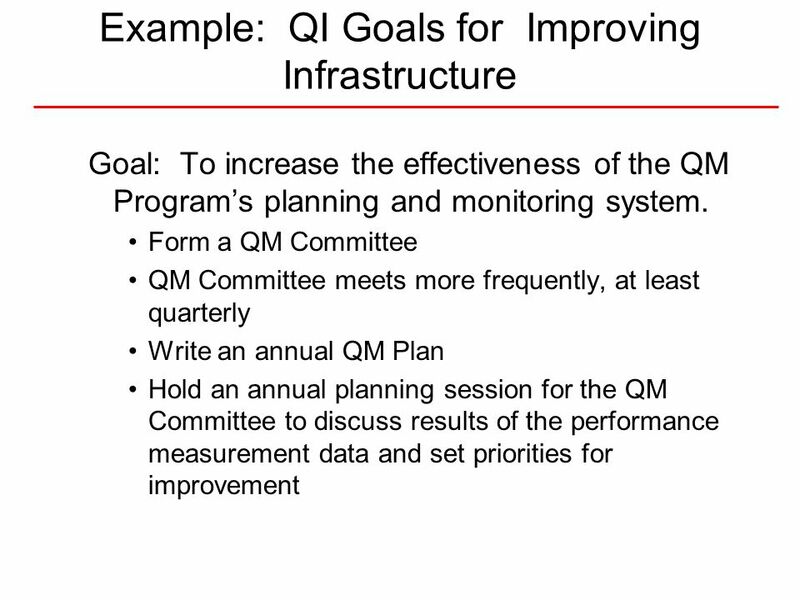 Designs new processes, systems and procedures consistent with CQI principles and with the results of QI Projects. 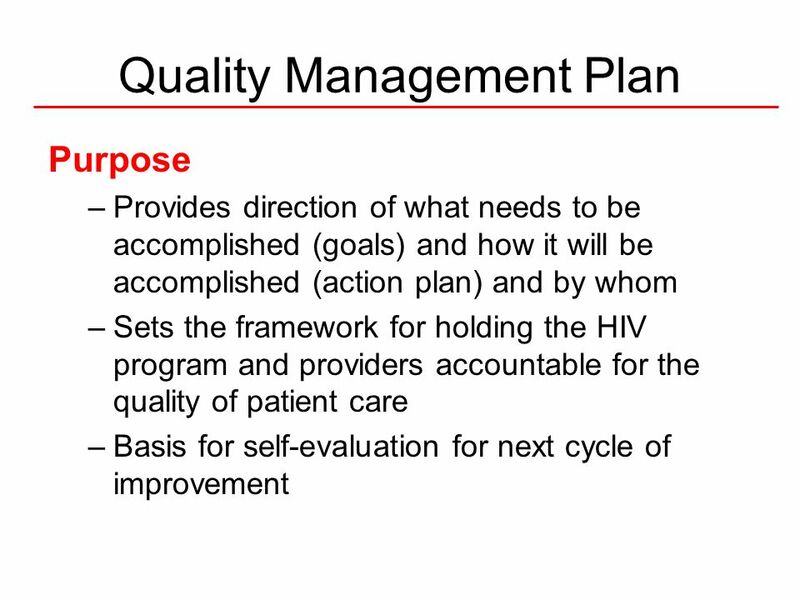 Develops a staff development plan to educate staff in quality principles and methods. 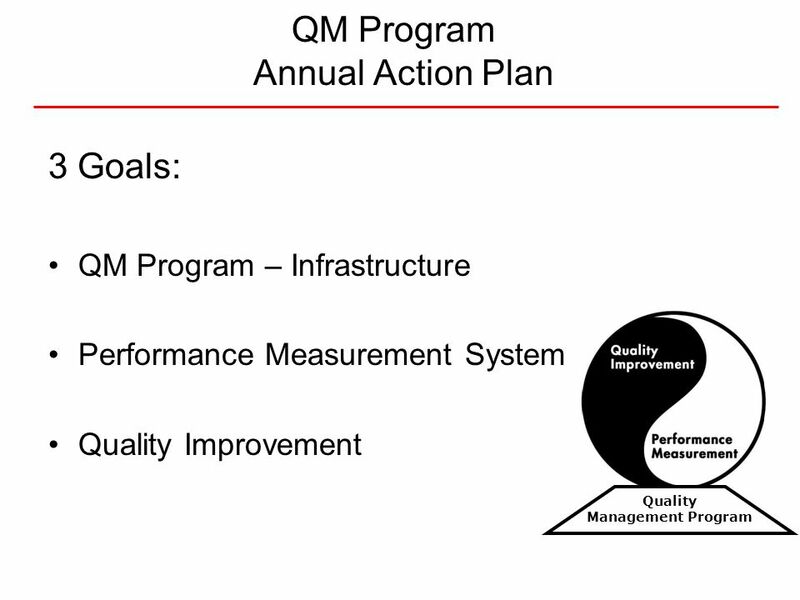 Maintains internal and external accountability for quality management. 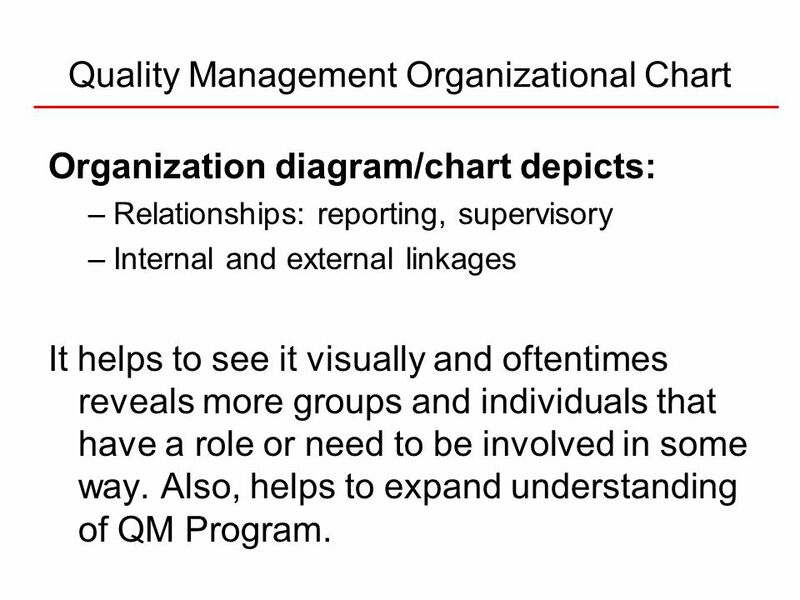 Organization diagram/chart depicts: Relationships: reporting, supervisory Internal and external linkages It helps to see it visually and oftentimes reveals more groups and individuals that have a role or need to be involved in some way. 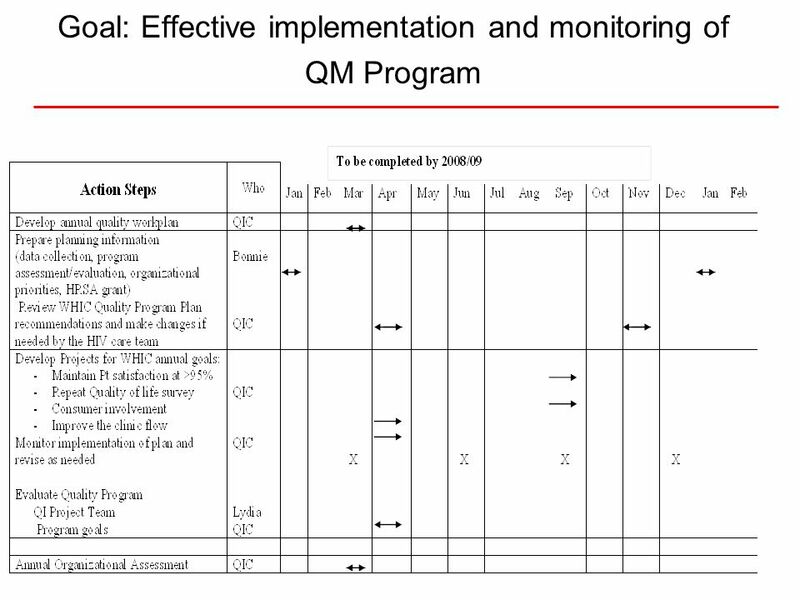 Also, helps to expand understanding of QM Program. 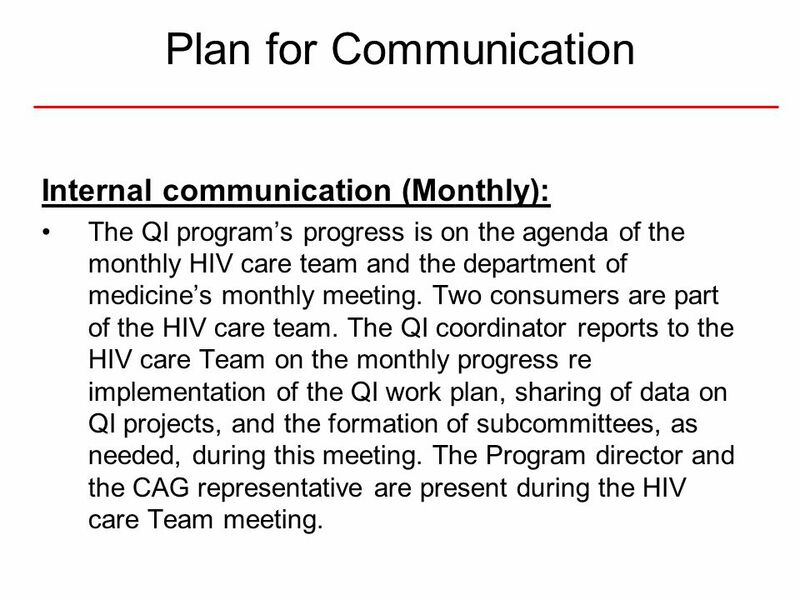 Internal communication (Monthly): The QI program’s progress is on the agenda of the monthly HIV care team and the department of medicine’s monthly meeting. 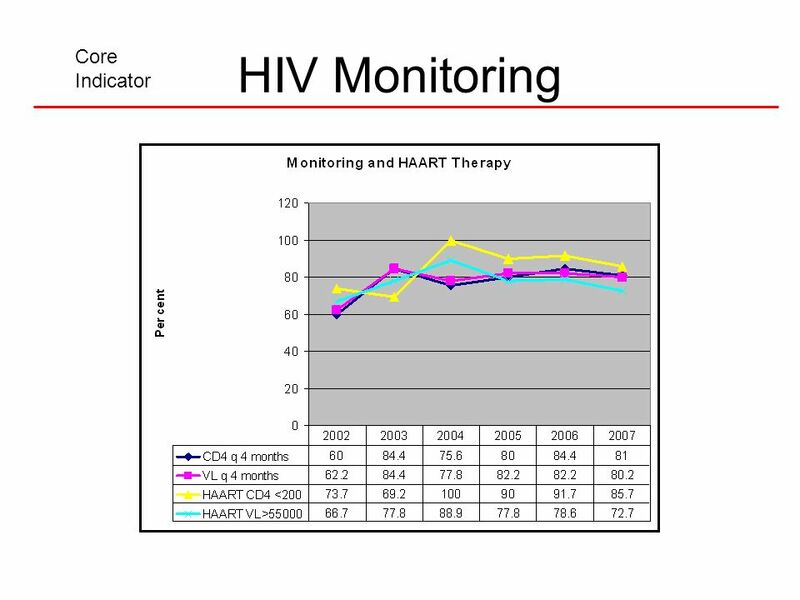 Two consumers are part of the HIV care team. 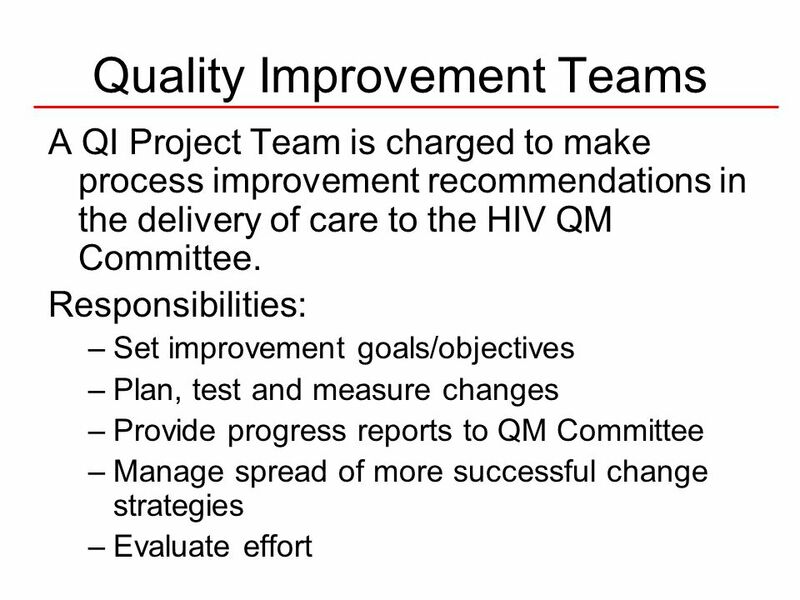 The QI coordinator reports to the HIV care Team on the monthly progress re implementation of the QI work plan, sharing of data on QI projects, and the formation of subcommittees, as needed, during this meeting. 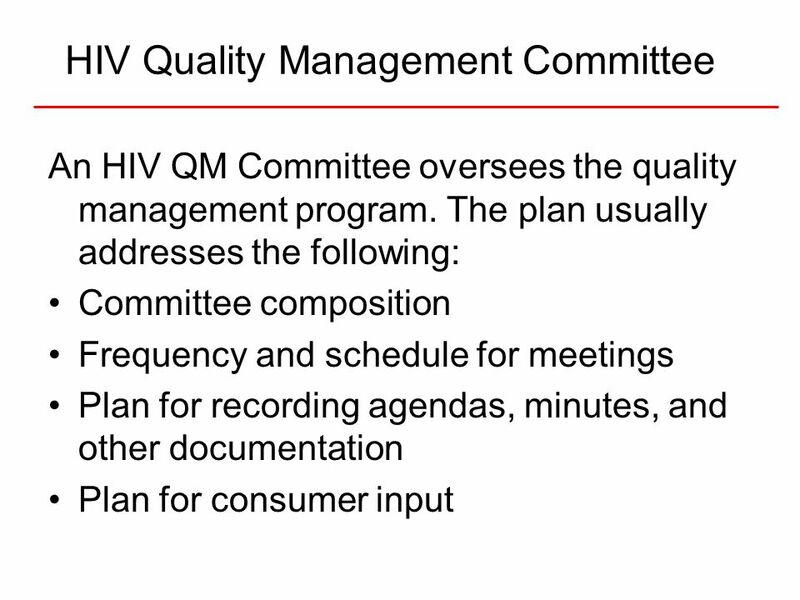 The Program director and the CAG representative are present during the HIV care Team meeting. 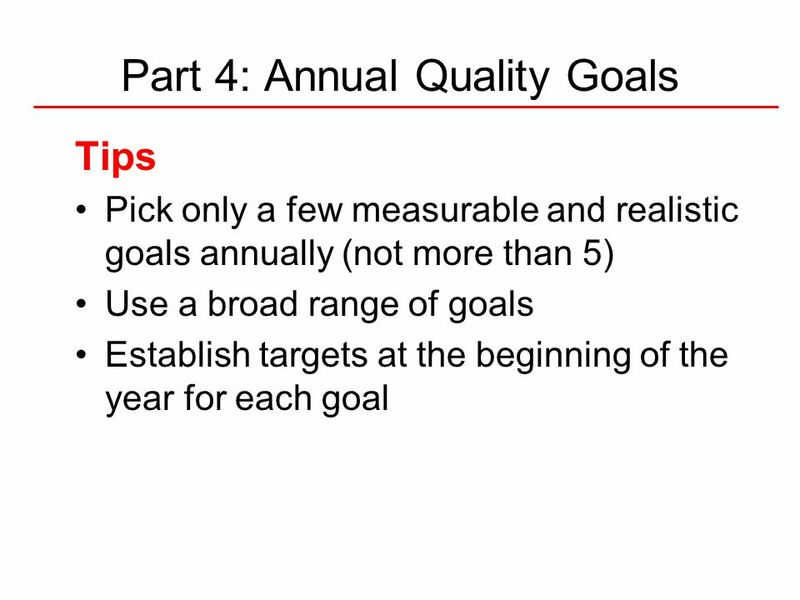 How are the annual goals determined? 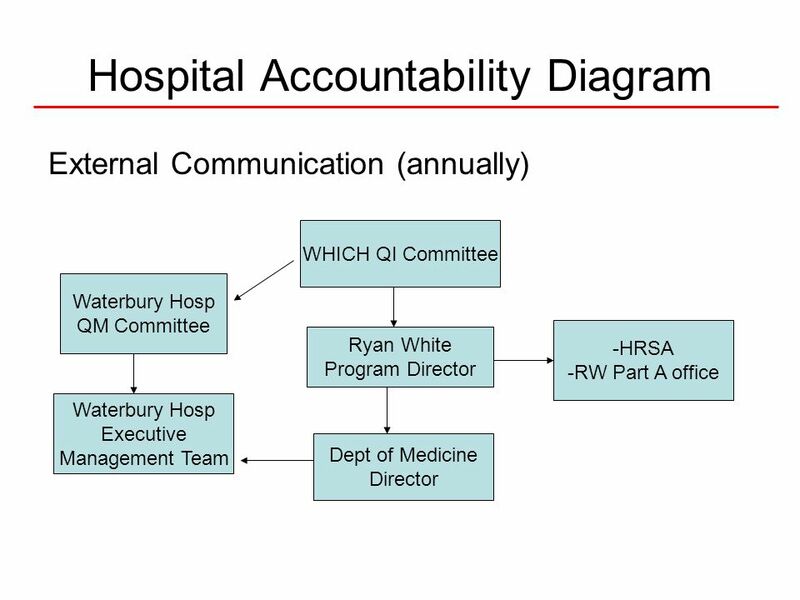 What group/staff? 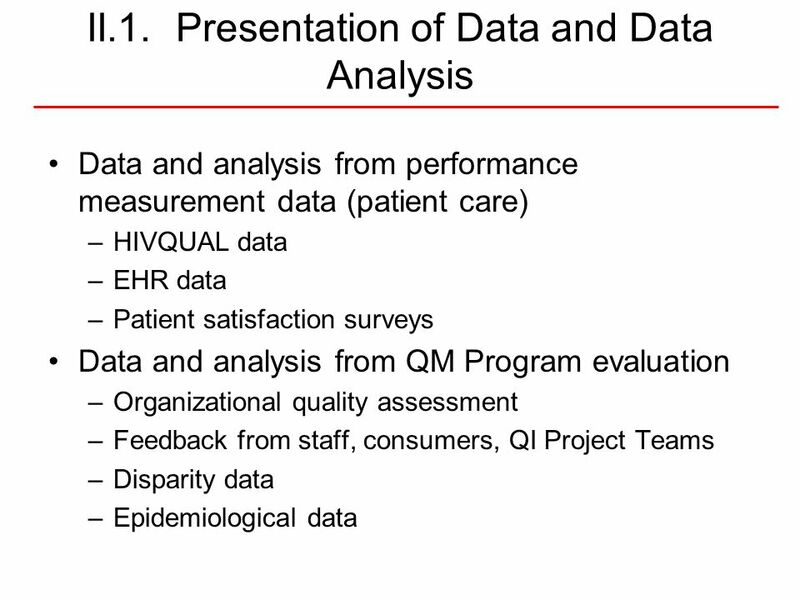 What data is used? 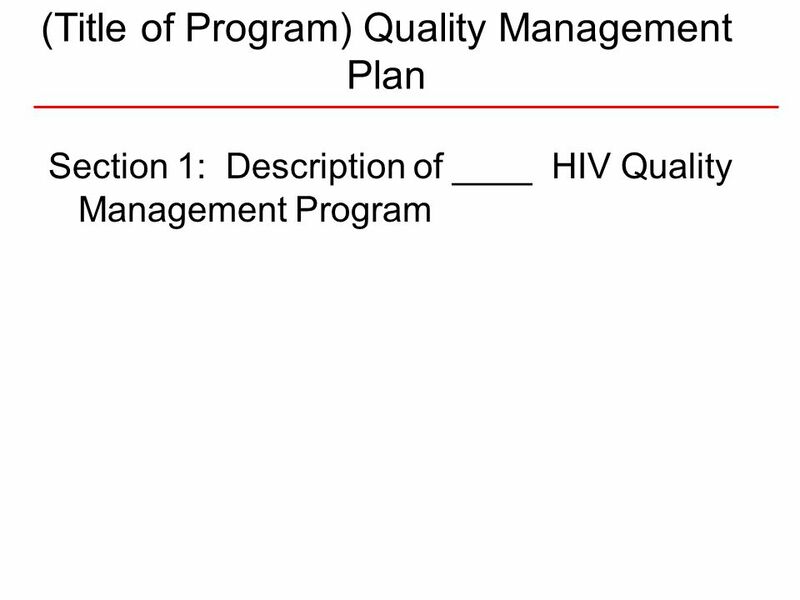 What criteria? 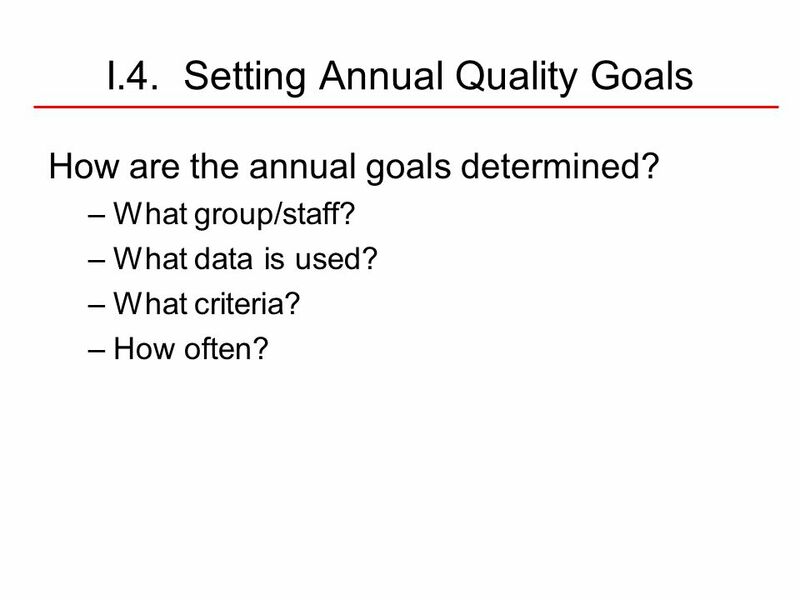 How often? 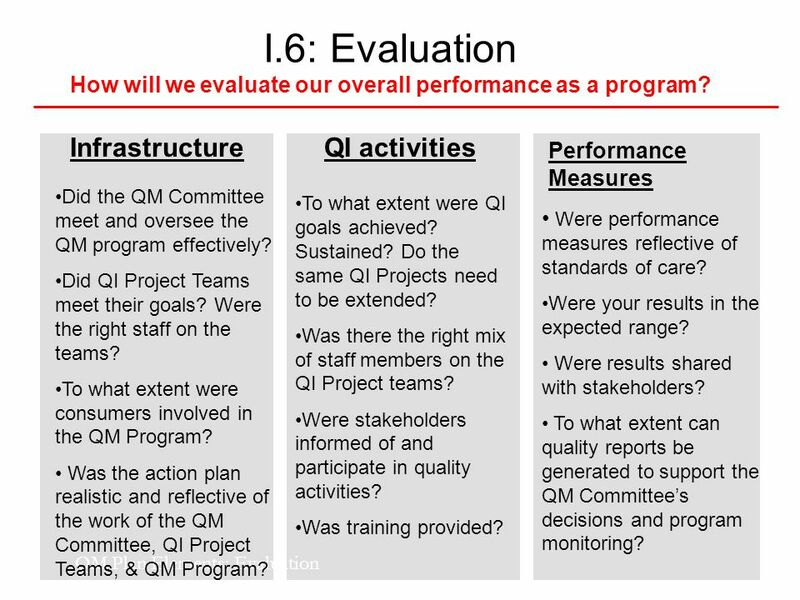 24 I.6: Evaluation How will we evaluate our overall performance as a program? 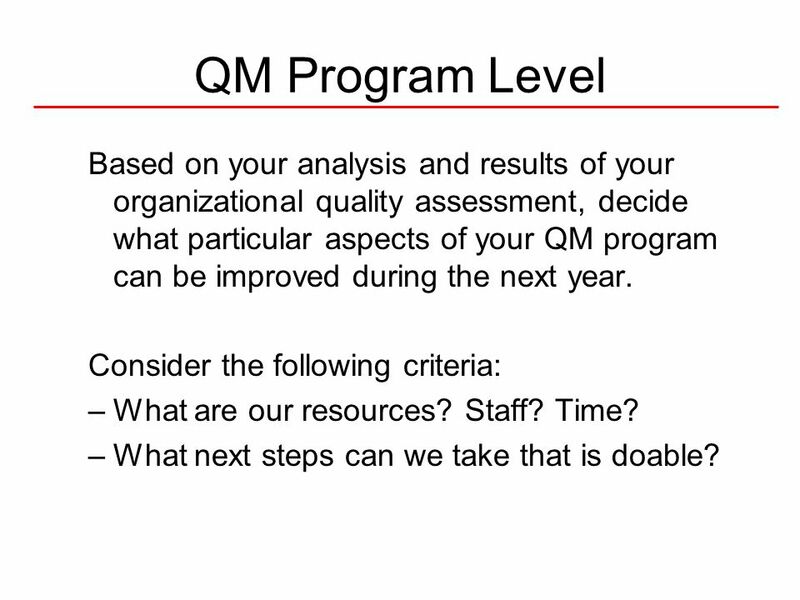 31 QM Program Level Based on your analysis and results of your organizational quality assessment, decide what particular aspects of your QM program can be improved during the next year. 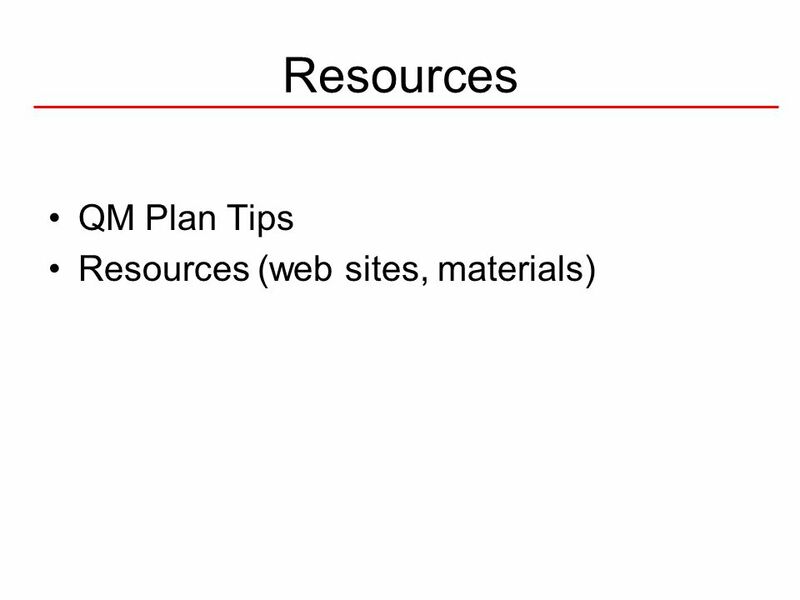 Consider the following criteria: What are our resources? 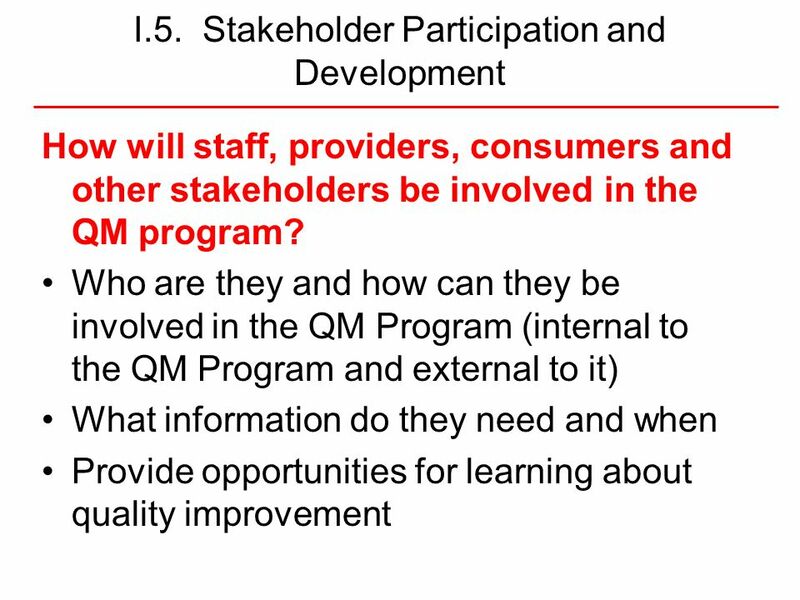 Staff? 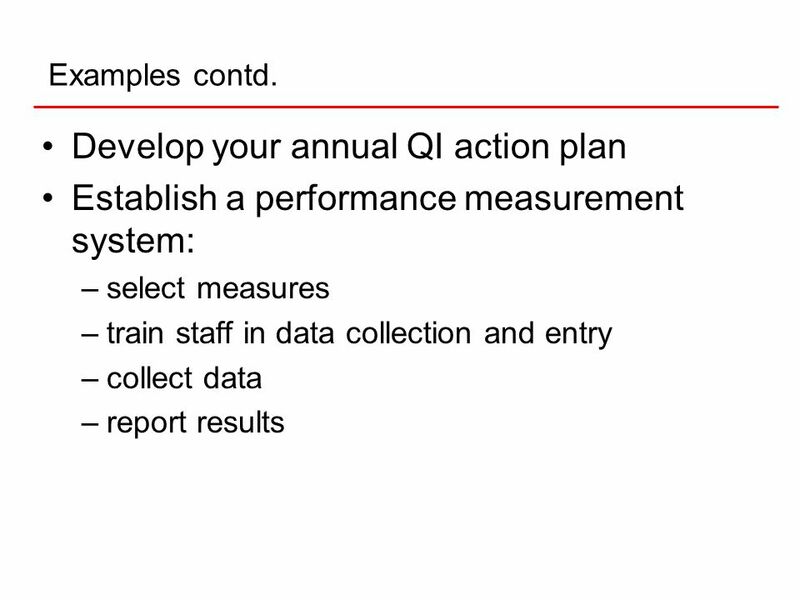 Time? 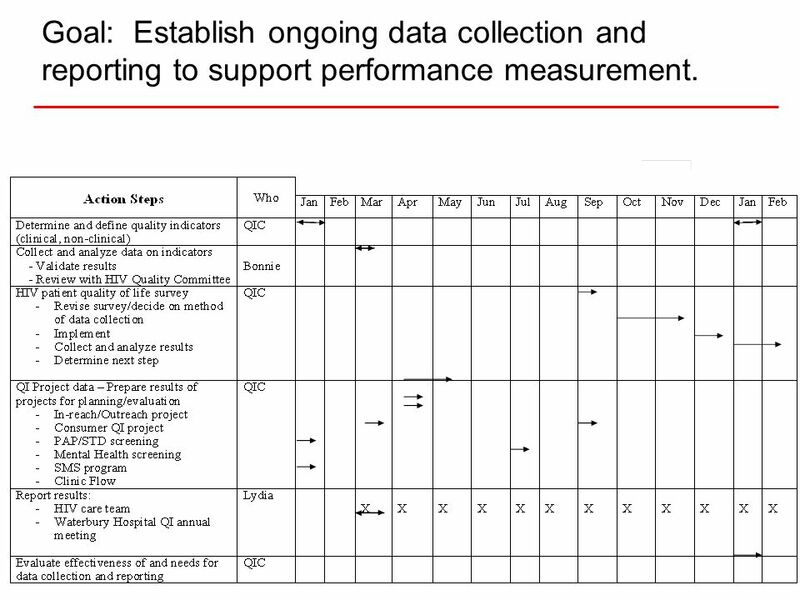 What next steps can we take that is doable? 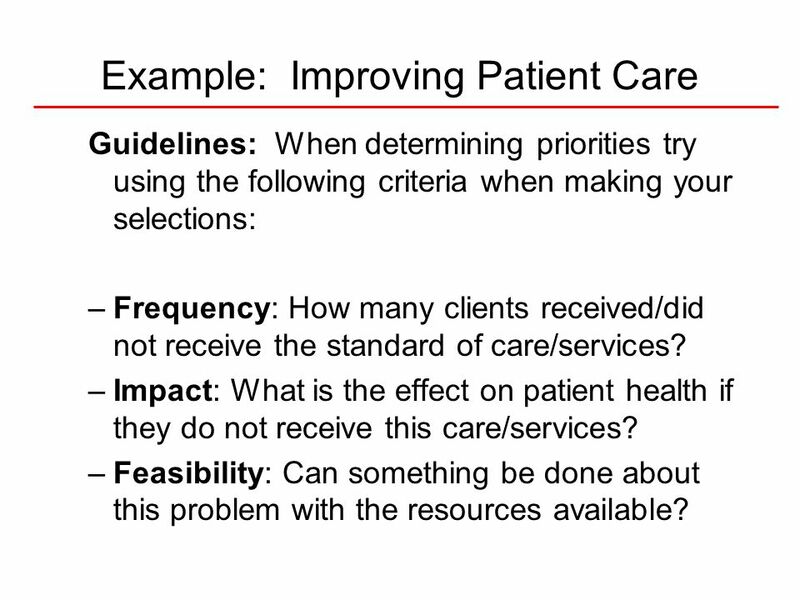 Guidelines: When determining priorities try using the following criteria when making your selections: Frequency: How many clients received/did not receive the standard of care/services? 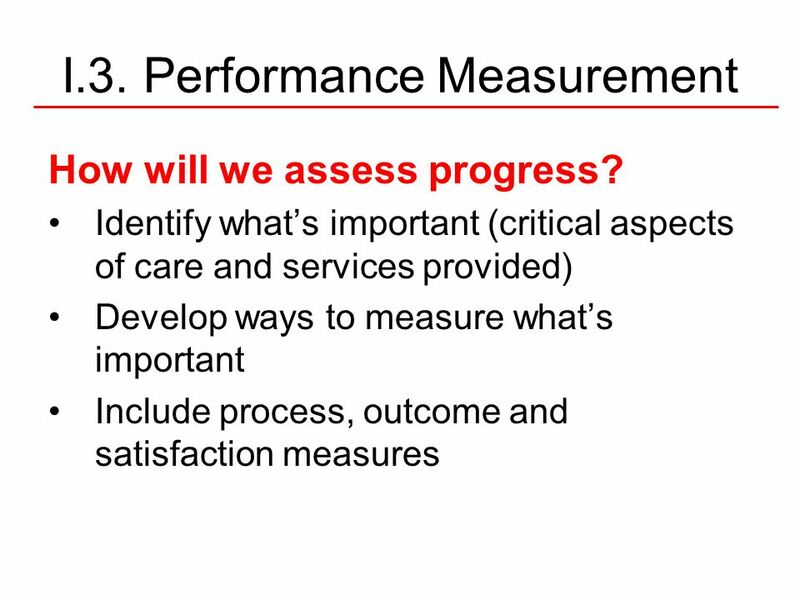 Impact: What is the effect on patient health if they do not receive this care/services? 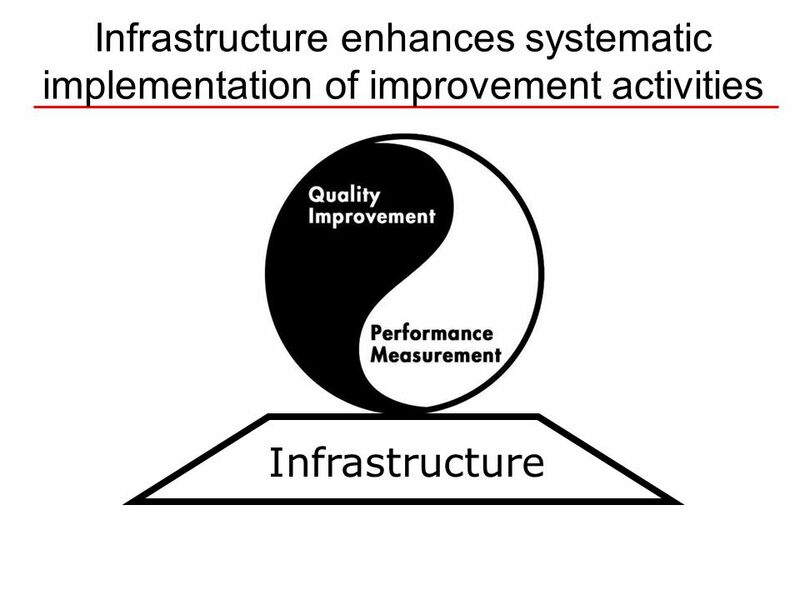 Feasibility: Can something be done about this problem with the resources available? 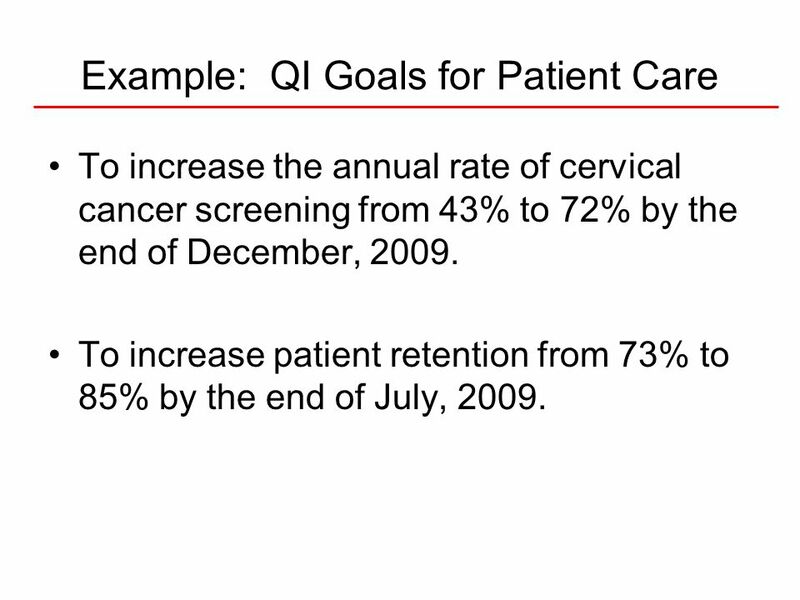 To increase the annual rate of cervical cancer screening from 43% to 72% by the end of December, 2009. 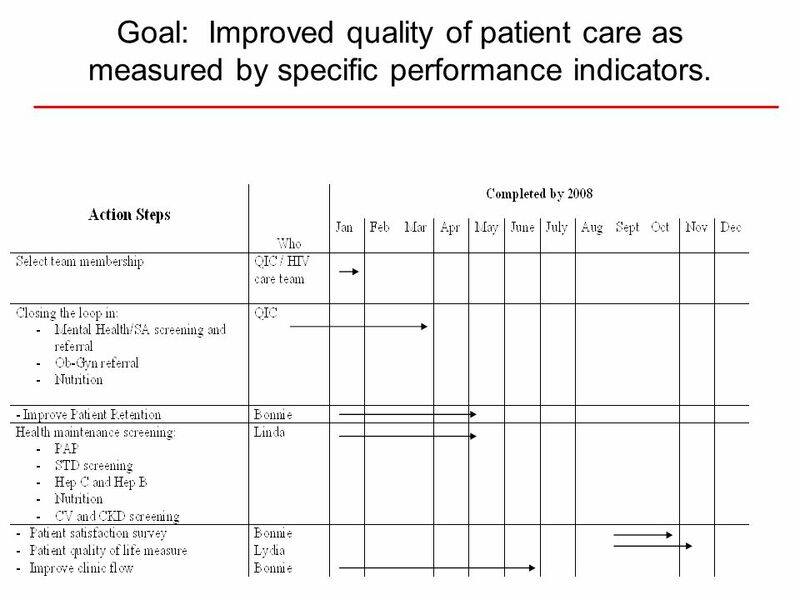 To increase patient retention from 73% to 85% by the end of July, 2009. 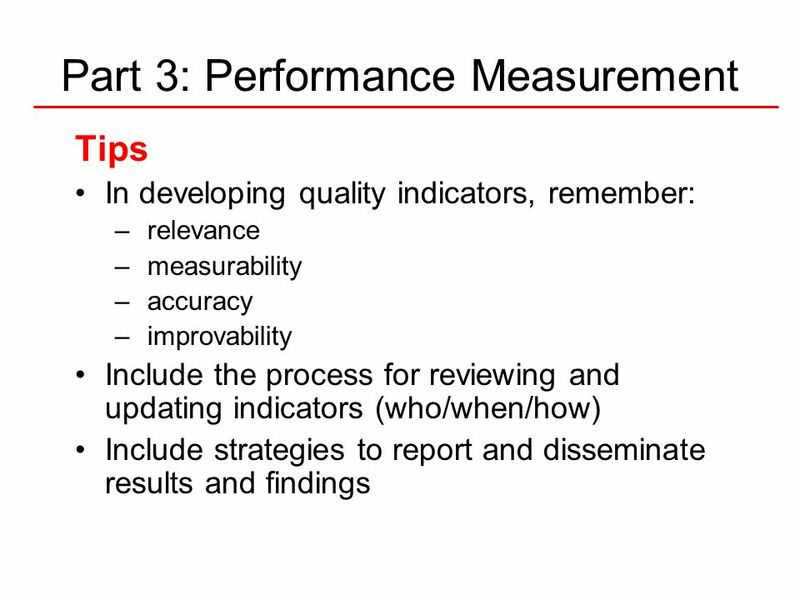 39 Goal: Establish ongoing data collection and reporting to support performance measurement. 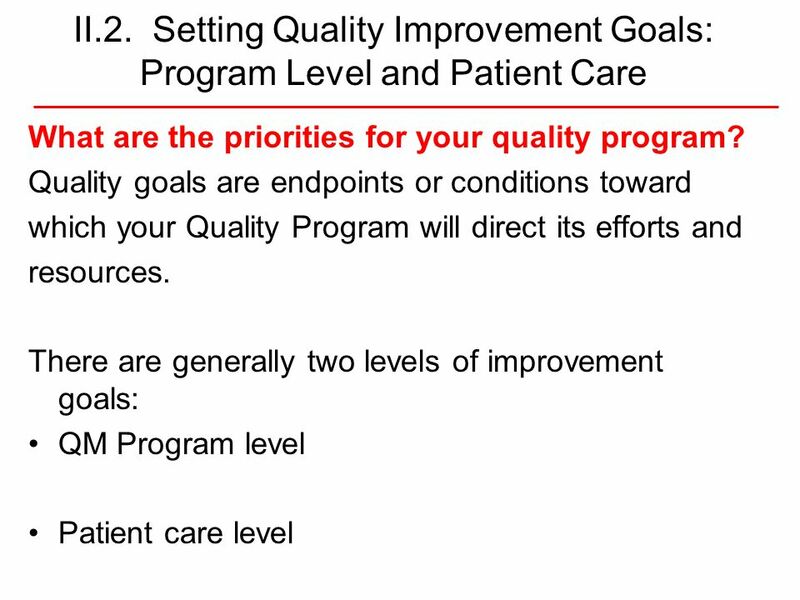 40 Goal: Improved quality of patient care as measured by specific performance indicators. 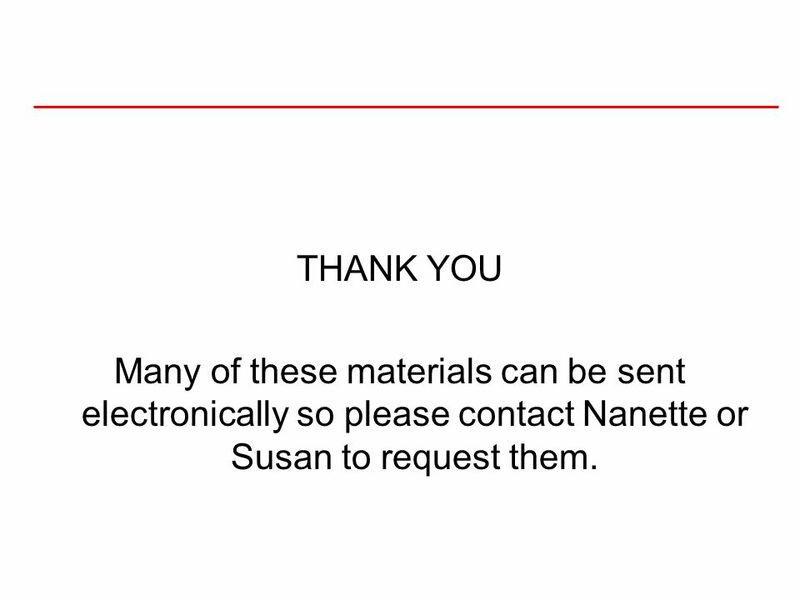 52 THANK YOU Many of these materials can be sent electronically so please contact Nanette or Susan to request them. 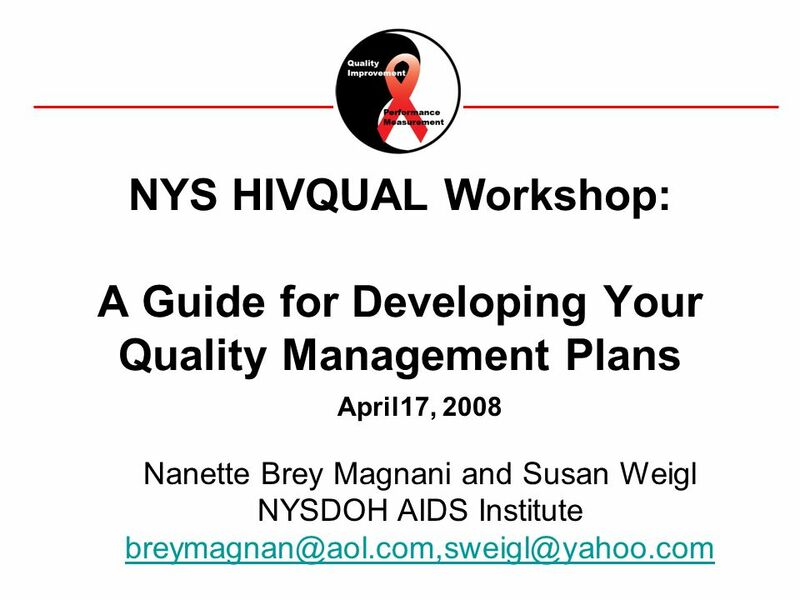 Download ppt "Nanette Brey Magnani and Susan Weigl"